\nCHANDIGARH: Gujarat and Himachal Pradesh may be going to polls, but it\'s Punjab where Congress general secretary Rahul Gandhi has created a political storm. Reacting to his remark that "seven out of 10 youth in Punjab are addicted to drugs," the Punjab government hit back saying, "Rahul is a national joke" and sought an apology from him. \nThis sharp reaction came from Harcharan Bains, advisor to Punjab chief minister on media and national affairs, after Rahul raised the issue of drug addiction while addressing a students\' rally here at the Panjab University (PU) campus on Thursday. \n"Rahul Gandhi is a national joke. He invites youth of Punjab and then refers to them as drug addicts. Is he mindful of what he is speaking and to whom?" asked Bains. \nRahul, on a two-day visit to Punjab during which he met state Congress leaders at Amritsar, had said, "Youth have the power and knowledge. They could be the solution to all the ills. But what\'s happening to this human resource in Punjab? The problem of drug addiction is high in Punjab and the government has not shown any seriousness in solving it. Unemployment is also on a high." typo.. forgot the R at the end..
\r\nAnd what those members of this idiot\'s team have say about it? Is he a drug kingpin in Punjab and giving statistics of his own company ? \r\nBefore getting those stats he should have known the percentage of Punjab youth in Defence forces, agriculture, industries and also as NRIs. \r\nLooks like this stupid was drugged at that time and gave the figures of Italy instead. 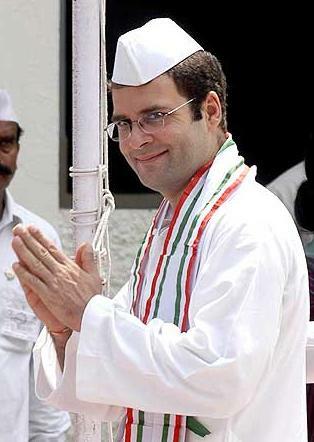 Don\'t be surprised if this joker becomes the next PM. can\'t happen.. aren\'t you surprised how the media has recently turned against the Gandhis.. their shady behavior, deals, zero leadership is now known to most Indians. Bhai merey, Indians have very short memory. Two months before the elections the petrol and gas prices will go down, DAs will go up and people will forget 4 years of corruption and mayhem. Joke is on us ... 1.3 billion fools. CHANDIGARH: Gujarat and Himachal Pradesh may be going to polls, but it's Punjab where Congress general secretary Rahul Gandhi has created a political storm. Reacting to his remark that "seven out of 10 youth in Punjab are addicted to drugs," the Punjab government hit back saying, "Rahul is a national joke" and sought an apology from him. This sharp reaction came from Harcharan Bains, advisor to Punjab chief minister on media and national affairs, after Rahul raised the issue of drug addiction while addressing a students' rally here at the Panjab University (PU) campus on Thursday. "Rahul Gandhi is a national joke. He invites youth of Punjab and then refers to them as drug addicts. Is he mindful of what he is speaking and to whom?" asked Bains. Rahul, on a two-day visit to Punjab during which he met state Congress leaders at Amritsar, had said, "Youth have the power and knowledge. They could be the solution to all the ills. But what's happening to this human resource in Punjab? The problem of drug addiction is high in Punjab and the government has not shown any seriousness in solving it. Unemployment is also on a high." Last edited by badriprasad; October 11th, 2012 at 08:15 PM.